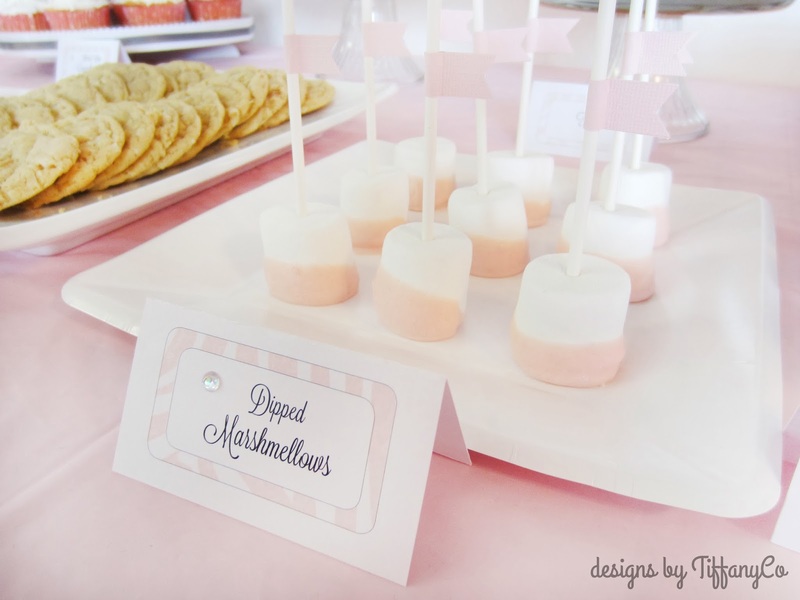 I have been in full-fledge party mode since January to prepare for my daughter’s birthday! She’ll be turning 2 in the beginning of March and I really want to have a little friend party because she has a lot of little friends. 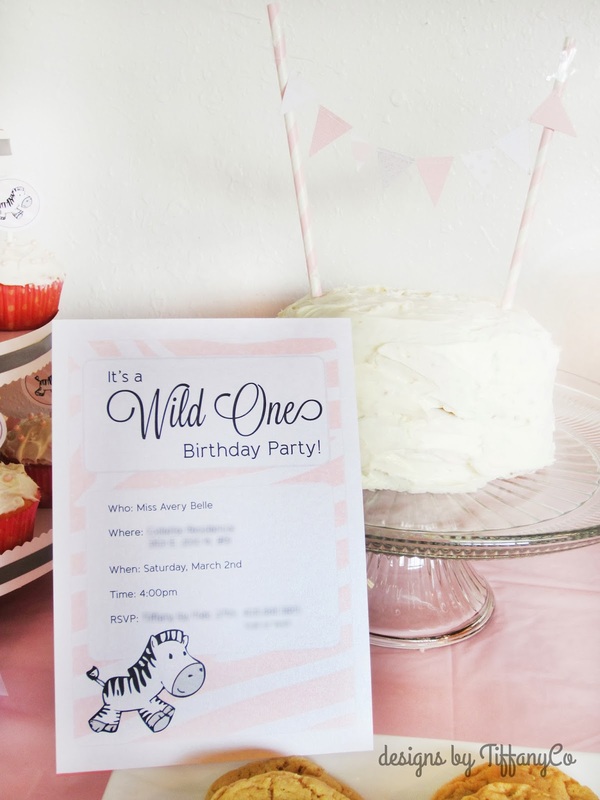 So, shortly I’ll be sharing how the party went and everything I designed for her party. 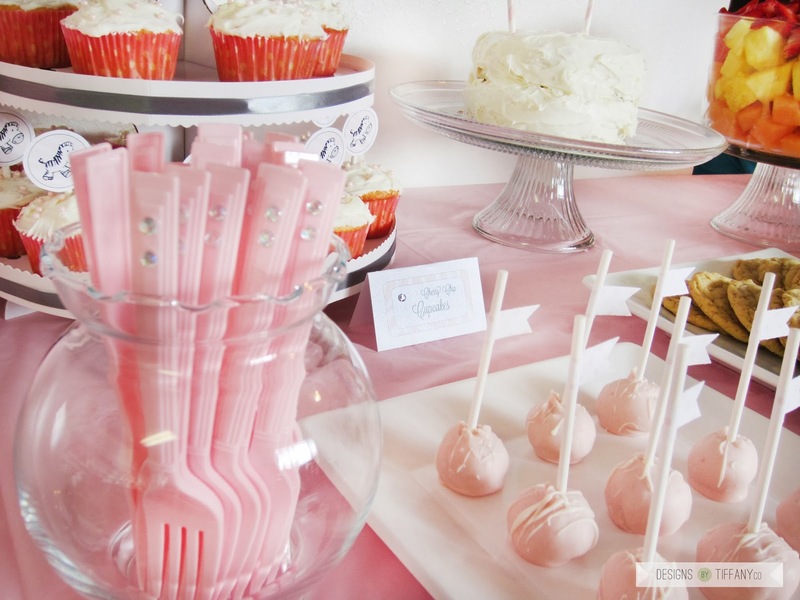 But for now, I’ll be sharing what I did for her first birthday party! We just had family over, but it was her first birthday so I really wanted it to be special, without breaking the bank. 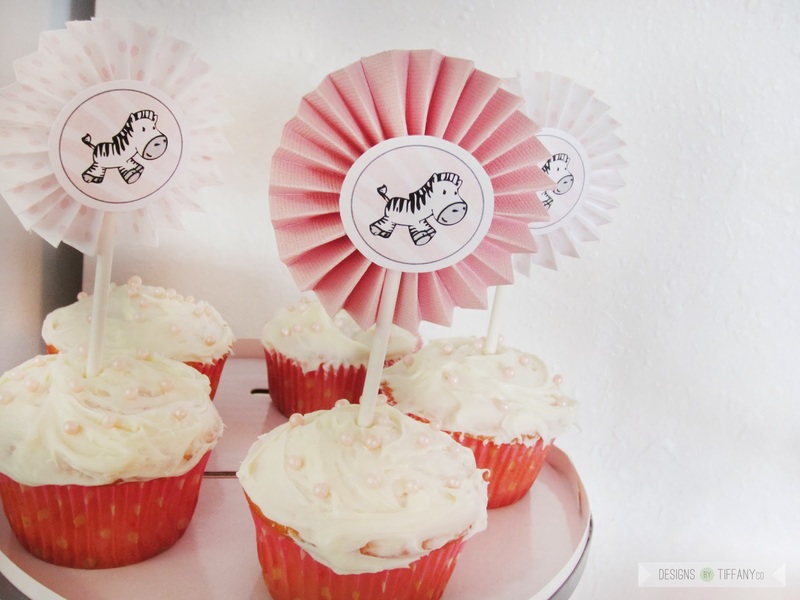 She has always loved animals so I went with a soft pink zebra theme. 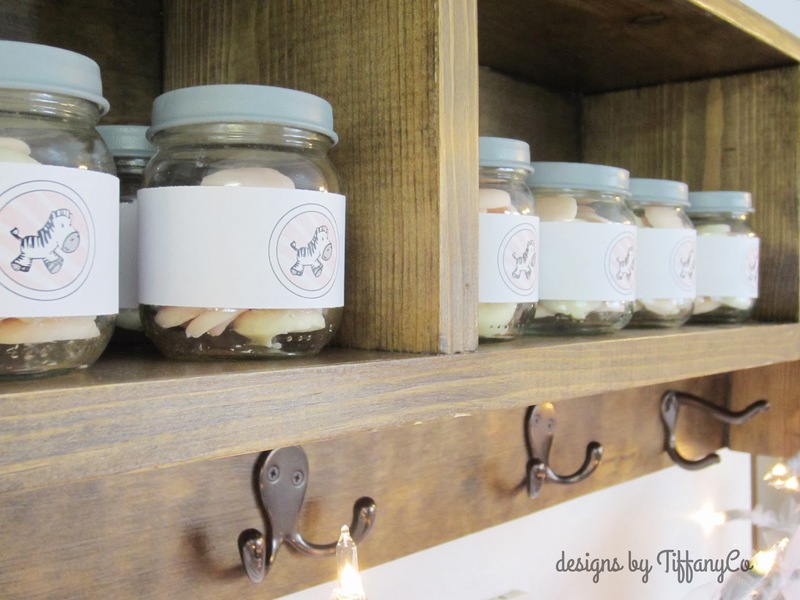 White chocolate party favors in re-used baby food jars. 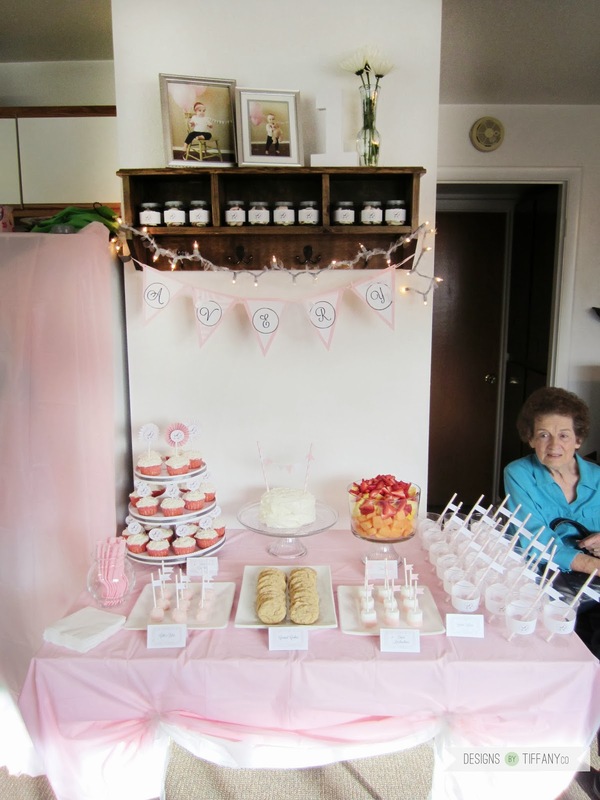 My lovely grandma modeling the dessert table.